Last year I had the chance to review a set of books in this new series and my children so enjoyed them. This year I have the opportunity to review one of the newest books in the series If You Were Me and Lived in Russia! I was so excited to read the Russia book because I have family members who have traveled to Russia multiple times. Also, I had a Russian pen pal growing up and we are still in touch today! So Russia has a special place in my heart. This book takes you on a short tour of Russia with a glimpse into Russian culture. You learn about common names for boys and girls as well as the terms for mom and dad in Russian. There is information about Moscow, the Red Square, and St. Basil’s Cathedral. Ohh, I dream of visiting there! The book also includes information about popular foods, games, toys, and holidays. I learned a few new facts myself, such as Russia has a total of 9 time zones! And I just thought Texas was big! Russian words are scattered throughout the book with pronunciation in parenthesis next to the words. There is also a glossary in the back of the book that contains all the Russian words with definitions and explanations. These books are beautiful picture books with bright, cheerful pictures. My kids loved to page through the book and see the kids wearing clothes traditional to Russia and seeing the colorful drawings of various places in Russia. 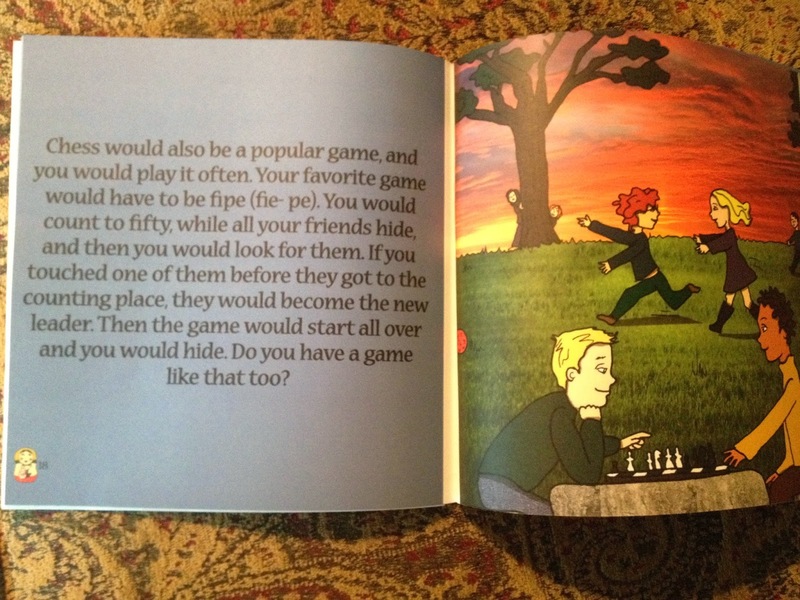 The pictures are so appealing to elementary-aged kids. 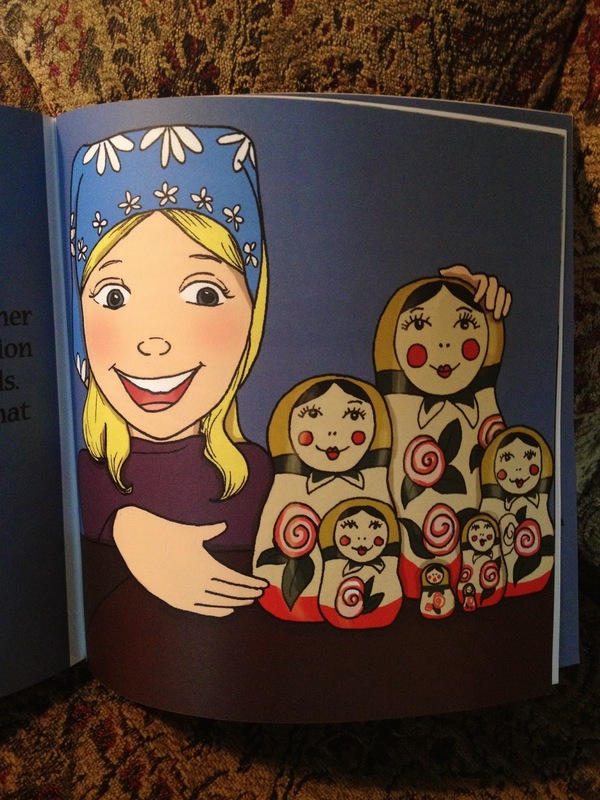 I find the book to be a wonderful introduction to Russia and Russian culture – all from a kids’ point of view. 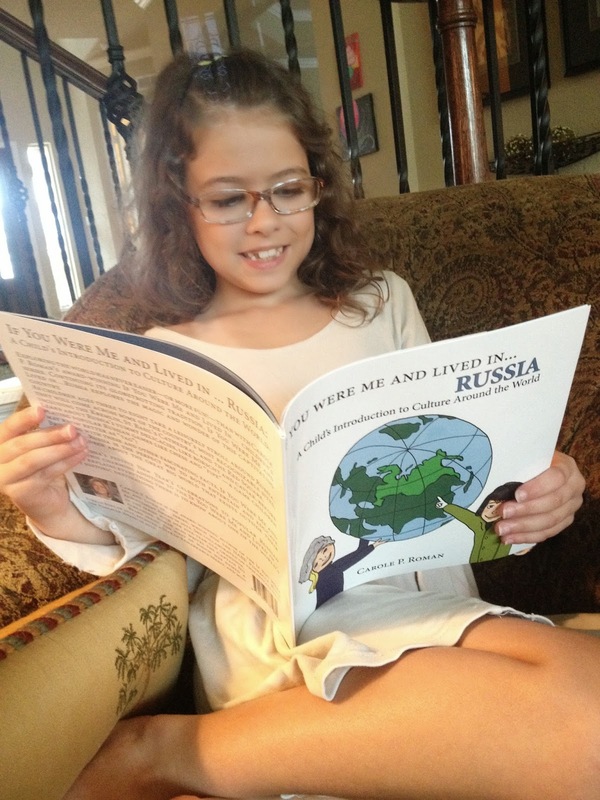 My kids love reading what it would be like if they were kids living in Russia. It’s just the right amount of information for them and it tells them the facts that they would want to know about another culture such as the toys and games. We love using these books as part of an introductory study of world countries and cultures. And I’ve found that my children enjoy reading them multiple times. These books are perfect for younger elementary aged-children with the amount of information presented in the books and the beautiful pictures and bright colors. However, I do need to mention that I found two typos in this book. 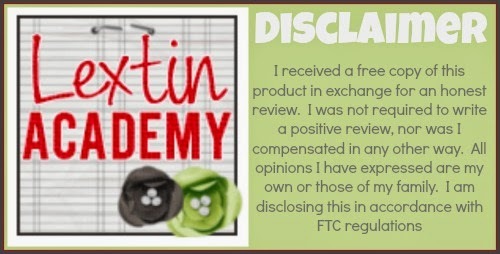 They were minimal and did not affect our enjoyment of the book. Hopefully they will be fixed for the next printing.